Disclaimer: If I come off sounding preachy, I apologize, this is a topic that Fires.Me.Up. 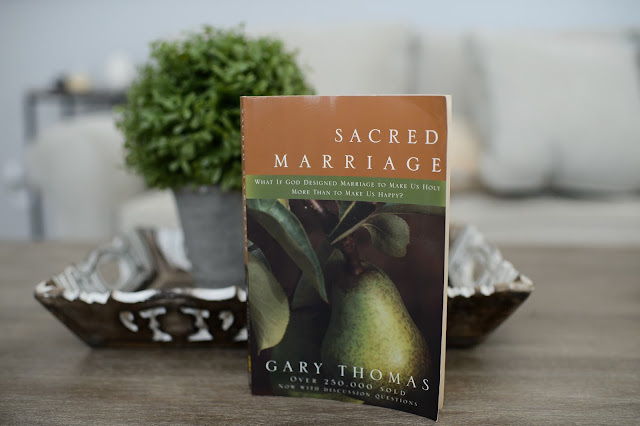 I am by no means an expert on marriage AT ALL, but it is something I have spent a fair amount of time investing in, reading about, learning in, and counseling in. Here are my thoughts. So marriage is kind of a HUGE decision, right? Not something you want to go into lightly. I think this is something our generation is, for the most part, beginning to grasp. We are a product of the 80s, a time when the statistic was 50% of marriages ending in divorce. Contrary to what you might think, divorce rates have actually lowered to 40% according to the CDC. Now, although we are beginning to understand the importance of this commitment, I still don't think we necessarily know what to do with it from there. Like, ok, marriage is hard. I don't want to be like my parents, I don't want divorce, etc. But what are the tools you are learning to ensure that all of those things don't happen? Because, as someone who has been married for a little over 3 years, sheer will power is not enough to get you through. For me, it all begins with an initial lack of understanding on what marriage is. And I think that's a lot of people's issues with it. You get a few years in and think, "What the crap? I didn't ask for this!". And maybe you didn't, but it's what you committed to. As a preface, before I get into all of my thoughts and things I've studied about marriage, let me just say that I am talking about holy matrimony. I'm talking about a commitment made between 3 people (you, your spouse, and God). If you aren't entering into marriage this way, then marriage is just a legal term. And that's ok! But it's not the same thing as my marriage. "What if God designed marriage to make us holy more than to make us happy?" Why is this something that I never thought about before I got married? Why is marriage not presented as the ultimate spiritual discipline? The ultimate route to being sanctified and becoming more like the person that Jesus is? I feel like the church, my elder community, my mentors, my examples all failed me. They failed to tell me the true meaning of marriage. And it's ok, because I think most of us don't know, or don't realize just how serious God's intent is for marriage. I didn't. And just to clarify, I believe marriage is meant to be an exact representation of Christ's relationship with the church (us). He will never leave or forsake us no matter WHAT. Literally, like EVER EVER, he will never leave us. And this is what marriage is supposed to represent. The times when I'm most unsatisfied in my marriage are the times that I'm looking to Levi to be my EVERYTHING. Could you imagine the pressure of needing to be everything for someone? It's impossible and it's not something you should expect from your spouse. "Much of our marital dissatisfaction stems in actuality from self-hatred. We don't like what we've done or become; we've let selfish and sinful attitudes poison our thoughts and lead us into shameful behaviors, and suddenly all we want is out. Why do we think we are so perfect? We aren't. We all come from a past filled with different stories and influences. Can we really expect that our way was right and their way was wrong? What kind of life would it be to never change and grow, especially for a reason as big as saving your marriage? "We die to our expectations, our demands, our fears. We rise to compromise, service, and courage." "Always be joyful. Never stop praying. Be thankful in all circumstances, for this is God's will for you who belong to Christ Jesus." This is the spirit I want to have in my marriage. This is my prayer for myself and it's a command from a loving God, who knows best for me. I have only scraped the surface of what this book, Sacred Marriage, entails. God used this book to radically change my view of my marriage, and I'm so thankful for it. If you want to know what Jesus intended for marriage, start here. I highly suggest reading it before marriage, it's easier to start with the right habits and ideas than to make the shift once you are already in deep. But for those of you that are struggling in your marriage, whether it be dissatisfaction, unhappiness, unfulfillment, abuse, betrayal, fears, doubt, confusion....I suggest diving in right now. Don't hesitate, there's hope! And you know what? Even if everything is fine and dandy in your marriage, it still might not be the picture that Jesus was looking to represent. Take time to learn what a true, sacred marriage looks like. Amen, Bethany! I needed that today!